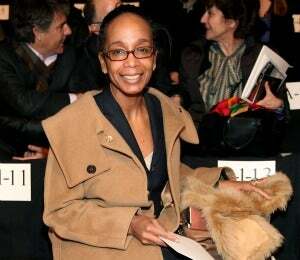 After fifteen years at the Washington Post, Pulitzer Prize-winning journalist Robin Givhan is leaving the newspaper. Givhan, who is one of media’s foremost fashion writers, is moving on to Newsweek magazine where her official title will be Special Correspondent for Style and Culture. The new title will also entail fashion coverage for The Daily Beast, a political website, which has recently merged with Newsweek for content coverage. In a recent statement, Editor-In-Chief of both Newsweek and The Daily Beast, Tina Brown said, “We are thrilled that Robin Givhan is bringing her stylish pen, reportorial rigueur and keen cultural insight to Newsweek and The Daily Beast.” Yet, what might be a major win for Newsweek and The Daily Beast is most certainly a loss for The Washington Post, which counted Givhan as one of its major writers for nearly two decades. In an internal memo to staffers, Ned Martel, Style Editor of the Washington Post, said, “No one is more in command of her own powers of self-expression than Robin, as her reasoned, elegant columns have proven each Sunday and we will miss her.” Givhan will continue to based in Washington D.C while remaining a fixture at fashion shows in New York, and Europe.